If you are reading this, you are at the wrong blog address. Last week we transitioned to a new blog: haretranslation.com. To read the rest, go to the NEW BLOG. 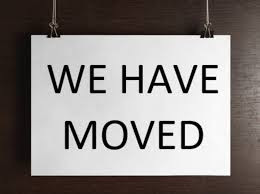 Starting next week this page will just redirect to the new blog site. In the same way, by moving to Cameroon, we left a country where we were rarely misunderstood and now live constantly striving to understand and be understood. As many missionaries will tell you, language learning is a grueling labor of love. However, when you share the Gospel for the first time in your second (or third) language, the Lord pours down a joy that you have never felt before. The years of mistakes and flashcards bring about a fruit that is so sweet that you know it was worth all the effort. I remember learning the ABC's in English as a kid and considered them to be more of a chore than a joy. Now, after spending years laboring to come up with an alphabet for the Bakoum people, I get a little teary-eyed when I hear kids on our porch saying it to one another. The greater the suffering, the greater the sacrifice, the greater the sweetness. The suffering that we take on for the benefit of others is actually the very agent that is preparing us for a great glory. This glory will last forever and it will prove that all the suffering was worth it. And so, we look to what we can’t see and keep plodding along faithfully giving kindness even when it is interpreted as hatred. We keep giving smiles even when they are reciprocated with glares. We keep clothing the naked even when they later steal from us. We keep giving to the hungry even when they refuse to give to others as they have been given to. We do this because we trust that the greater the sacrifice, the greater the suffering, the greater the sweetness--even if we have to wait until Heaven to taste of it. "My Dear Sister : You are now drinking the bitter cup whose dregs I am somewhat acquainted with. And though, for some time, you have been aware of its approach, I venture to say that it is far bitterer than you expected...But don't be concerned. I can assure you that months and months of heartrending anguish are before you, whether you will or not. I can only advise you to take the cup with both hands, and sit down quietly to the bitter repast which God has appointed for your sanctification...Take the bitter cup with both hands, and sit down to your repast. You will soon learn a secret, that there is sweetness at the bottom. You will find it the sweetest cup that you ever tasted in all your life." Judson had a heart of faith, a heart that looked to what his eyes could not see. It was not easy, it did not come right away, but in the end his faith won out over his sorrow. Can you imagine looking back on your struggles to say "you will find it the sweetest cup that you have ever tasted in your life"? That can only be said when one is believing that "the things we cannot see will last forever." So, my plan is this: I will take the cup with both hands. I will welcome the sorrow, the frustration, the slow plodding in faith, believing that there is something ahead that outweighs them by far. And believing that life's difficulties can even draw me closer to heaven, and to the Lord who will one day make everything all right. "The righteous know the needs of their animals, but the mercy of the wicked is cruel." But, she was also with a man. I don't know if it was the child's father, or a family member, or a friend. But he took it upon himself to "defend" this woman. He did so by shouting at me, blocking my path, yelling vile things about me and my child, and in the end spraying me with a bottle of Mountain Dew. He then high-fived one of the abortion clinic escorts and walked the young woman into the clinic. 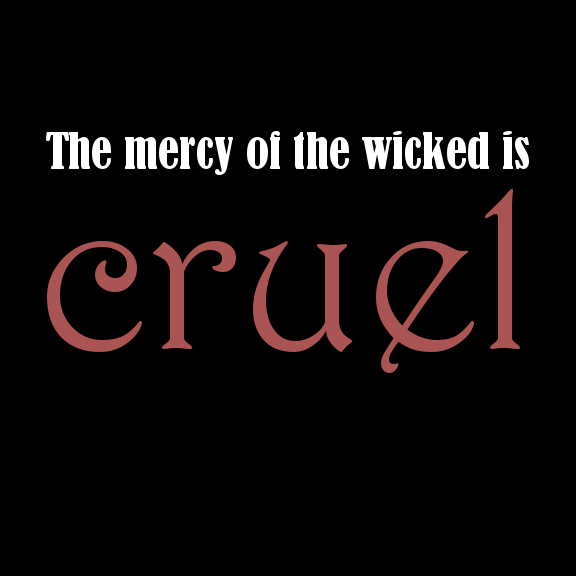 "The mercy of the wicked is cruel." 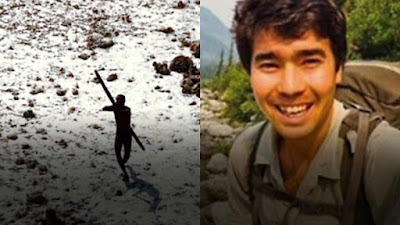 Terje A. Bergesen The Sentinelese - making the world a better place one missionary at a time. Scott Harbin Literally no one should care about his obsessions or intentions. He got what he deserved - at minimum. Stop reporting on his death. Stop. Do you hear the cruelty? People are actually calling for the killing of missionaries! Regardless of your thoughts about the manner of his death, this is not mere disagreement. This is hatred, cruelty, malice. And it is in the name of mercy, with a desire to protect the Sentinelese people. But "the mercy of the wicked is cruel." How is that even possible? How could an abuse victim do anything else but hate her abuser? She said it better than I could: "By his grace I too choose to love this way." Christians are people who know the mercy of God. We know that we have offended God so much more than we have offended others, or than they have offended us. "That is what makes the Gospel of Christ so sweet. Because it extends grace and hope and mercy where none should be found." I would ask you to consider your mercy right now. When you think of the Sentinelese people, or abuse victims, or trafficked children does your mercy for them cause you to hate others? Does it cause you to wish for the death or torture of people created in God's image. Is your mercy cruel? Then you do not know true mercy. True mercy, which comes only from God, begets mercy. Only when you truly understand that you are an offender, a sinner, an abuser, you know that the only way you can be saved is through mercy. This truth is what led Rachel to both hate Nassar's sin and still not hate the man. What an incredible power the Gospel has. 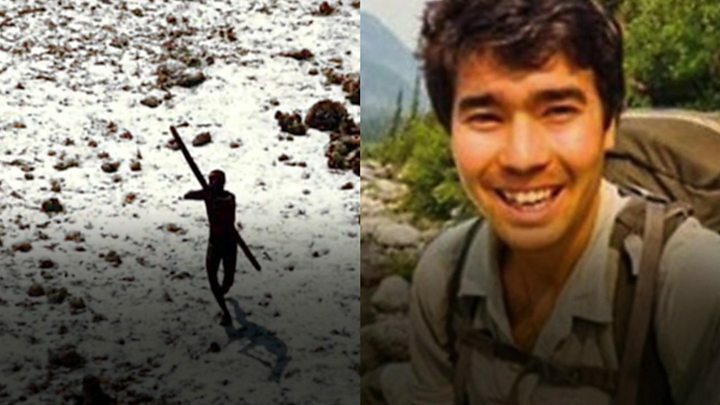 When you see the life-changing, life-empowering strength of the Gospel, you begin to understand why John Chau would go to the Sentinelese people. This is an amazing message, one that none of us deserve, but is offered to us all. Praise God for the message of the Gospel, and allow it to create in you an unnatural love and mercy, even for those who have shown you nothing but hate and violence. Since we have returned to our village in August 2018, we have met a young couple that has reminded us why we are doing what we are doing. The young man, named Ko has been an orphan since he was 8 years old. When his parents died, he went to live with his aunt who had him work for his stay in lieu of going to school. Ko has shown interest in learning more about the Lord but confided in Dave that there was one thing holding him back: he cannot read and thus not read the Bible. When Dave told him that we wanted to build a Kwakum (AKA Bakoum)* literacy/translation center, he lit up and couldn’t wait to start learning. 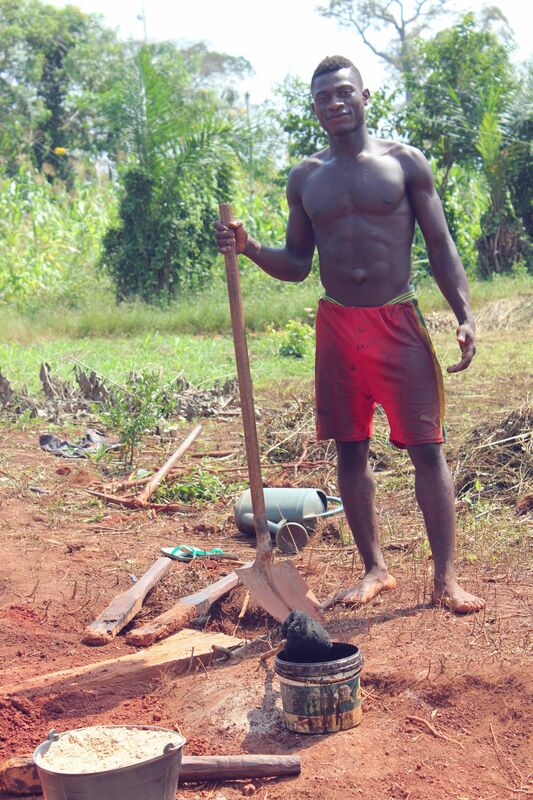 We have hired him to help build the center and he works sun-up to sundown making bricks. We also hope to start teaching him the Bible orally. His girlfriend, Mami (pronounced “Mommy”), recently lost her father who was allegedly murdered by her step-mom. She works with me (Stacey) daily learning to read Kwakum. I also am teaching through a French children’s story book Bible in Kwakum, explaining to her the character of God through Bible stories. The other day, in the story of Abraham sacrificing his son to Isaac, when I asked her what she learned, she said that she learned that God loved Abraham because Abraham loved Him first. I said, “No, God loved Abraham first and called him out of idolatrous family. Abraham in return loved God.” We then read the verse “We love because he first loved us” (1 John 4:19) while I explained that first we are receivers of God’s love and then it is reciprocated to him and to others. Her mind was blown as she had previously assumed that we had to earn God’s love. She does not understand the Gospel yet (we are still in Genesis), but she cannot get enough of the Word of God.... read the rest HERE. "I write these things to you who believe in the name of the Son of God, that you may know that you have eternal life. And this is the confidence that we have toward him, that if we ask anything according to his will he hears us. And if we know that he hears us in whatever we ask, we know that we have the requests that we have asked of him." Of course, I recognize that in this passage (and the whole Bible) it is clear that God's ear is open only to the prayers of those who have faith (here: believe in the name of the Son of God). And I found in our Sunday School class that there were children that were not bearing the fruit of the Spirit. However, there were children in our class that bore a lot of fruit. And God demonstrated that he listened to them. For instance, we started praying for North Korea together in our Sunday School class in April 2018. In May 2018 North Korea freed 3 American pastors that were in prison. Further, the war between North and South Korea was declared over. Now, I know there is still much work to be done in North Korea, but should we say that this was merely coincidence? That is not what we told our class. These 5-7 year olds prayed with all their little hearts could muster. They talked to their parents about it, and prayed at home. And God used their prayers. When we told them of the results of their prayers, their faith was increased. You should have seen how excited they were! God hears the prayers of his children, even when they are actually children. 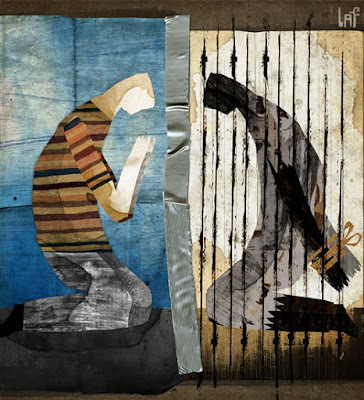 Should we deny our children the opportunity to be a part of God rescuing pastors out of prison? It is not ambiguous in the Scriptures: God wants his children to pray for the persecuted church. If our children are believers, Hebrews 13:3 applies to them. What is amazing about this verse is that it does not just tell us to remember those in prison, but "as though in prison with them." God wants Christians to empathize with our brothers and sisters that are in prison. Our kids are not going to be able to do that if we give them vague requests or keep such requests from them entirely. In that, "protecting" our children from the difficult realities that the global church faces removes an avenue of obedience from their Christian walk. For those of our children who are not believers the command remains. Just like the command to worship God, obey their parents, and not steal. We do not tell our unbelieving children that they can lie because they are not believers. We raise them to be Christians, and pray that God would save them so they can put into practice what we have taught them to do. What an incredible statement! As a parent, I know I am often calling my children to be self-controlled, but am I also calling them to be sober-minded? The implication of this passage is that both are necessary for them to have effective prayers. I think this is true, at least in part, in that if our children are not sober-minded they will not be praying for things that God cares about. Honestly, God does not care about who wins their soccer game. God does not care about what they want for Christmas. God wants them to be sober-minded and to pray for people who are dying for Christ. If we protect them in such a way that they do not even know that such people exist, they cannot be sober-minded and they cannot pray. As an aside on this issue, our relative wealth in the West has allowed us to think that children do not have to obey this command. We think that childhood can be only fun, and try keep our kids from experiencing hard truths. This type of "protection" is not biblical, and is only possible where life is easier. Here in Cameroon, kids know about death because they cannot avoid it. Though in some ways we might think of this as sad, I am hopeful that as they become believers it will lead to sobriety that most children in America will never know. I have been talking to a friend that was protected a lot during childhood. As they grew older and started to learn how the world really is, they did not wish for "protection." Instead, they experienced frustration. Particularly as a believer, they felt like they had missed out on opportunities to care for and pray for those in need. Parent, if your child does become a believer, they will not have wanted for you to keep these truths from them. If they love Christ, they will not long to forget the plight of the persecuted church. Christians love the Church. Christians love their brothers and sisters and pray for them. The greatest gift you could give them is to teach them the truth. Keeping the reality of persecution from our children will one day put them in a difficult place. One day, if they desire to live a godly life in Christ Jesus, they too will face persecution. If we have not taught them about our faithful brothers and sisters, they will not know how to respond. If we have not taught them about Richard Wurmbrand, they will not know that they could even love men who were beating them daily. Without the story of the Yao people, they will never know that God is able to break through to even the most difficult places. Without the testimony of Elizabeth, they won't know that Christians can remain faithful even with their own husbands beat them and abandon them. Worse, they may pity themselves instead of uniting with the Church. Teaching our kids about the suffering of God's people can only prepare them for what they will one day face. And when that day comes, they will want to be prepared. At the end of the day, it seems to me that any attempt to "protect" our children from the hard truths of the persecuted church will only hurt them. It will remove opportunities for greater obedience, it will prevent them from thinking about the world the way that God wants us to, and it may even lead them to abandoning Christ. However, when we teach them to pray not only will they be changed, their prayers will be answered. May each and every one of our children have the opportunity to be used by God in such an amazing way. 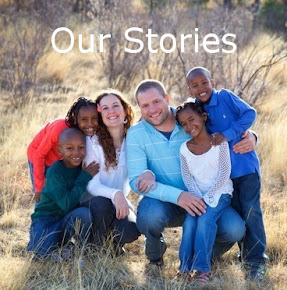 If you are looking for more resources to encourage your kids to think about missions and the persecuted church, check out our page Missions at Home. This week I saw the power of the Word of God transform someone before my eyes. Also, this week, I witnessed the Word of God further harden my children who are all too accustomed to ignoring it. Starting with the happier story, a father of a 15-year-old Bakoum girl asked me to sit down and talk to her about some serious sin that was in her life. She wasn’t listening to him, but he was hopeful that she would listen to me. So, I sat down with her and asked her if she had heard the story of the prodigal son. She said she hadn’t, so I got some pictures and told her the story. I explained to her that the prodigal son did not see the love of his father, but just his commands. Leaning on his own understanding, he left his father and ended up realizing that his wisdom was inferior to that of his father’s. In the pig pen, he saw clearly his father’s love and his own folly. He went home and confessed that he had sinned both against God and against his father. My young friend was captivated by this story and saw that she too was leaning on her own understanding rather than that of her Creator’s and her Father’s. She also saw that the love of her Creator was so great that he even sent his own Son to die for her sins. I watched her melt into repentance before my eyes as she said, “I need to go home now and tell my father I have sinned against Heaven and against him.” I have seen her since and she said that she did just that. Through a simple story that she had never heard before, she understood the gracious character of God and the seriousness of her sin. The power of the Word of God – making the dead alive right in my backyard. Then…there’s my children. My husband, our homeschool teachers, and I labor to teach our children the Word of God each day. They know the languages the Bible was written in, they know the books of the Bible by heart in English and French, they understand the relationship between human responsibility and God’s sovereignty, etc., etc., and yet….they are stone cold to it (with the exception of our oldest son, Kaden). 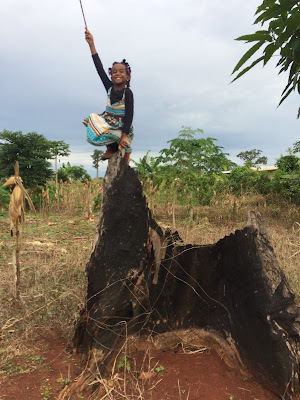 Hearing a story out of the Bible in broken Bakoum one time was what the Lord used to bring repentance in the heart of a young girl and yet in my own children, I get rolled eyes and yawns. And I realized that for a missionary kid there is a danger that is greater than all of the snakes, malaria, and violence combined. My young Bakoum friend has seen God in nature and has resisted him up to this point. However, my children have seen God not only in creation, but also in his dealings with the Egyptians who wouldn’t let the Israelites go. They’ve seen and resisted the God who sustained Joseph in prison. They’ve seen how the Lord killed Ananias and Saphira because of a single lie. They’ve read of the miracles of Jesus and listened to the dramatized book of Revelation countless times. And for some of them, each encounter with the Gospel has not been an opportunity for faith, but for resistance. They have had an abundance of special revelation and they have said, “No!” to the God revealed in those Scriptures thousands and thousands of times. Instead of this Gospel melting them into repentance, it has served to harden them in their sins to the point that they can tell you the sinful desires of their hearts, Scriptures that deal with those sinful desires, and what their eternal consequence will be if they do not repent – all with a yawn. Spurgeon is right when he says that the Gospel is like the sun – melting some into repentance and others into rock-hard clay. It is tempting to turn inward and ask “What I am doing wrong?” And I do ask that question, and we have sought to change some things after asking it. However, I take heart in the reality that Judas was around the Light every single day, witnessing miracles, seeing the true love of Christ, and listening to him preach. Judas had a million opportunities a day to love the light, but instead he chose to harden his heart to it a million times a day. Eleven went on to live and die for Christ, but for Judas, it would have been better “if he had not even been born.” It was the very Christ-likeness of Christ that turned Judas away. This has great implications for Christian parents. Maybe the resistance to the Gospel in our children isn’t because we are doing something wrong, but instead because we are too Christ-like for their tastes. As Jesus said, “Everyone who does wicked things hates the light” (John 3:19b). They have more exposure to the truth than most kids, and the result of this greater exposure to the light has been a greater hardness. So where does this leave us? I don’t think this reality should leave us in despair, but rather in awe of the miracle of the new birth – whether that new birth occurs in a person who does not have one word of the Bible in their language or whether that person has their walls wallpapered with it. In my ministry, I am daily faced with people who are without: people who are without food, without medicine, and without special revelation from the Lord. I then go home and find my children grumbling about the taste of their malaria-prevention medicine, refusing to eat their vegetables, and dead to the Word of God that we faithfully teach them. Honestly, this is maddening. I feel like because they have more, salvation and gratitude should come more easily for them. Ironically, in thinking this, I am adopting the same entitlement mentality that they have: because they have (the Word), thus they should receive (salvation). But in thinking this, I am losing sight of what a true miracle being born again really is. No one seeks for God on their own – neither children of missionaries, pastors, AWANA kids – no one. For anyone to have a desire for the Lord is evidence that the Spirit has taken a dead soul and made it alive. In the words of Jesus: “The wind blows where it wishes, and you hear its sound, but you do not know where it comes from or where it goes. So it is with everyone who is born of the Spirit” (John 3:8). The Spirit, like the wind, is free to make alive whomever he wills, and children of Christians are not entitled any more than those who belong to unreached people groups. I think a second response to this should be resolve to see them born again. In 1755, Jonathan Edwards wrote to his son: “I am full of concern for you, and often pray for you...Never give yourself any rest unless you have good evidence that you are converted and become a new creature.” I think Edward’s exhortation to his son should be the cry of our hearts for our hardened children – may they find no rest until they find true, eternal rest in Christ. And may we as their parents be Christ to them knowing that he is the way, truth, and life. When we came to Cameroon on our vision trip in 2010, I asked our colleagues for their highs and lows of Cameroon living. Without exception, each person told me that one of the hardest parts of living here was dealing with money. Knowing about these challenges we read a ton about the subject before crossing into a new culture. We found that most books written for Westerners moving to Africa deal extensively with the question of finances. 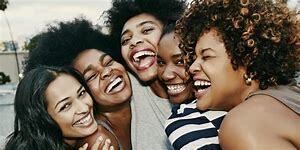 We have already written about some of what we have learned from books like African Friends and Money Matters (read HERE) and When Helping Hurts (read HERE and HERE). Overall I would say, my primary goals arriving in Cameroon, as it relates to finances, were: 1) to make sure I was not being taken advantage of, and 2) that we were not creating dependency. Well, we have begun our fourth year of living in Cameroon, and my perspective is continuing to be refined with both good and bad experiences. I have been taken advantage of. In one case a man asked me for money to buy food, I gave it to him, and while I watched he went and bought a beer. I have paid money for workers to travel to my house and dig a well, and they never came. As far as I can tell, we have not created any specific dependency, but there is always the tension. However, while I thought these concerns would be greatly burdening, I can honestly say I care very little about them. Man, have I tried to qualify this. I have tried to find ways around it. I have tried to re-define "needy" in such a way that I don't actually have to sell any possessions. But at the end of the day, I cannot get away with it. Jesus told me that I need to sell my possessions and give to the needy. Someone once challenged me, saying, "Sure we need to think about being good stewards and not creating dependency, but in what way are you obeying the command in Luke 12:33?" And to be honest, at that point, there was no way that I was obeying that command. And in being honest, I was confronted with the reality that I was storing up my treasure on earth and not in Heaven. I have also been struck by Jesus' foretelling of the final judgment in Matthew 25:31-46. In it we find the Son of Man sitting on his throne and all the nations are being brought before him. And he is separating out the sheep from the goats. And by what standards will he separate them? By how they have treated the hungry, thirsty, naked, imprisoned, strangers. He does not mention stewardship, he does not mention dependency avoidance (not that these are unimportant), he does not even mention faith! Jesus is going to separate believers and unbelievers based upon how they treated the poor. (NOTE: this is not works salvation. Jesus is judging people based on their works, but the Bible clearly teaches that we are saved by grace alone. For a more thorough explanation, see my sermon on this passage HERE). Among the Bakoum, we have found that there is an expectation that those who have more are expected to care for those who have less. This expectation is repulsive to my American individualistic values. I honestly do not feel like they should expect anything from me. I am a foreigner in their country with the sole goal of trying to help the Bakoum. So, why should they expect me to take care of their other needs? But the reality is that people here genuinely do not have what is needed in order to survive. When their children are sick, they often do not have the resources to seek out medical help. Often times there is not enough money to send all the kids to school. So, they choose one kid that they think will do well, and everyone will work together to put that one child through school. Among the Bakoum, they see their friends and family as a resource and when they are in need they have no shame in asking for help. Most of the time they are not trying to abuse me, but are genuinely just in need. This interdependency is, I believe, more in line with what the Bible says about how we should live as a Church. It is not a perfect system, and it is very hard on my cultural sensitivities, but I am thankful for it nonetheless. In observing this system I believe that this almost entirely unreached people has taught me how to be more like Jesus. But the point is not to be generous for the sake of generosity. In this culture generosity communicates love. I read a quote the other day from a man named David W. Augsburger: “Being heard is so close to being loved that for the average person, they are almost indistinguishable.” I like this quote because I think it is true. And I think it could be re-worked for the Bakoum: "Being generous is so close to being loved that for the average Bakoum, they are almost indistinguishable." This is so true that I believe that if we brought the Gospel, slaved for 20 years to translate the Bible, spoke words of love the entire time, but were seen as stingy, it would all be for naught. We would be a noisy gong or a clanging cymbal. When I first arrived back in the village after furlough, my goal was to get the house liveable again. We had left my wife and the girls in the capital, and I wanted to be back with them as soon as possible. I was not here to study the language, I was not here to minister, I had a task and I wanted it completed. During the week I was here, a mother came up to me with her child. His head was huge! I thought he was around 2 years old, but she was carrying him (they usually only carry kids here until they can walk). She later told me he was about 3-months old, his head was continually swelling, and she didn't know what to do. I didn't know either. But I told her that I would talk to my doctor friend and went back to fixing the plumbing. To be honest with you, I just forgot. There was a lot on my mind, I was feeling sick, and the task of repairing the house was overwhelming. But Natalie came back with her baby. This time I sent a picture to my friend immediately so that I would not forget. I got a response back pretty quickly: the baby probably has encephalitis and he probably needs to go to Bertoua (a city close by) if not the capital. This family is as poor as they get, and I knew they would not be able to save up enough money to go to the city anytime soon (let alone pay for an operation). We gave them some money to go consult with a doctor. Long story short, they were told they needed to go to Yaoundé (the capital) and they needed more money. What would you do? They were not offering to pay anything at this point. Should I offer to pay part? Should I turn them away for fear of dependency? If I pay, is everyone with a sick baby going to come to my house for help? I don't even know this couple. As far as I know, the first time I had ever seen this woman was the day she brought Patrick to me while I was plumbing. Well, as I said, my default stance is now prefer generosity. It is about a month later and I am over $1,000 into this thing. 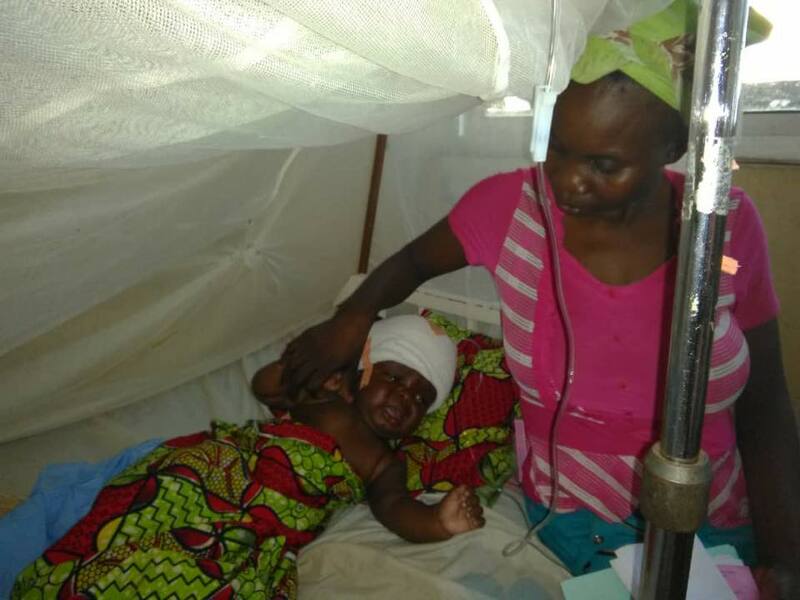 The child is in Yaoundé and they put a shunt in his brain to remove the fluid that has built up. And I just got a call that they need more money for medications! To be honest with you, in spite of their expectations, I can't do this with every baby in the village. $1K is a lot of money for us. And I feel a bit of anxiety about the decision. But after the surgery a woman in the hospital sent me a text message with a picture (seen above). I took it to the father who is still here in the village. Today is the presidential vote and this whole week everyone in the village has been out talking about the election. So, not only did he see it, but the whole village saw baby Patrick and his mother. And they told me that he would have died. There was no doubt in their minds. They told me they needed us, they were thankful for us, and there is no way the family could have paid for it on their own. They showed me that they believed that my generosity was the fruit of love. And I walked back home believing that we made the right choice. I wish that was it. I wish I could say that I can just be generous all the time and that all that will ever happen is love. However, just the other day a Bakoum woman asked me for $800 for a surgery on her arm and I had to turn her away, and she was upset. But at this moment there is nothing I can do. Further, Patrick's aunt was mocking me last week for stopping a man from beating a child in the street. She said I have no right to tell them how to raise their children. So, it is not all butterflies and rainbows. Most of the people are still not following Jesus and their lives show it. But, I do believe they know that we love them. I believe that they see a generosity in us that is not natural. And I pray that such generosity and love will lead them to Christ one day. So, I wanted to end by asking you the same question a friend asked me: "How are you obeying Jesus' words in Luke 12:33?" I still struggle with it, it makes me uncomfortable, and to be honest I just mess it up a lot. But I am happy to see that even my small obediences have brought fruit. I encourage you to consider your default setting when asked to give. Is it "avoid being taken advantage of"? or "don't create dependency?" If so, I would encourage you to consider the priority of generosity. 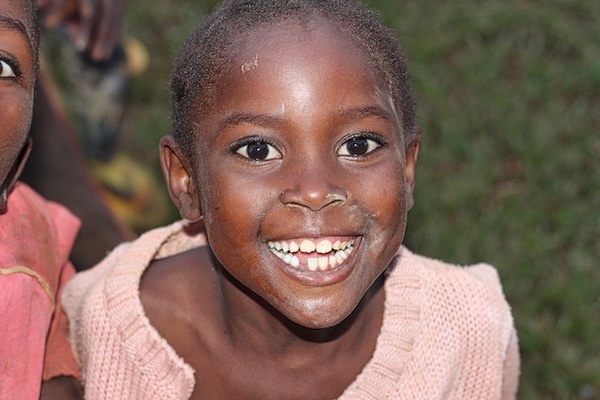 What an amazing thing to learn from a lost people group in Cameroon! My day began by watching my deceased neighbor be buried in his front yard. My day ended by watching another neighbor beat a little boy violently. It has not taken long for us to remember that death and violence are a part of everyday life here in the village. And there is a part of me that asks the question: Is it ever okay to put my headphones in to drown out the constant strain of yelling that surrounds our home? Is it okay for me to look the other way while a grown man beats a whimpering child? Is there ever a reprieve from the wailing at funerals, the violence, the fighting, the disease, and the death that surround us in this place? Is there a time to just send someone away saying, “Be warm and filled"? A week ago yesterday, Dave and I went over to our neighbor’s house to talk about their grandson’s health. The grandmother was very thankful for the medication we brought her and the grandfather greeted us warmly and thanked us. This grandfather has been blind for about two years and I’ve seen another of his grandsons leading him around the village. We regularly hear fighting coming from that house at all hours of the day and night. This past Tuesday night was no exception. I was having a rough day with my kids and went outside late at night to look at the stars and pray, and then I heard them fighting. I am ashamed to admit it, but my first reaction was not pray, but instead to roll my eyes and wonder if the hollering would ever stop. That is something I am ashamed of now. Why? Because yesterday I went back to this same house and found the grandfather lying dead in his bed while family members were digging him a grave outside. Women were in the house wailing and men were outside drunk; alternating between arguing and singing loudly. When I went into the house, one of my friends (the deceased’s daughter) explained to me what had happened. Allegedly, her father had gone to the city to withdraw his retirement in order to pay for a surgery for his eyes. It was a considerable sum of money and when he got home, his wife (my friend’s step-mom) and her children demanded the money. When he refused to give it to them, they beat him, inflicting injuries that led to his death. One week ago, he was greeting me at his front door. Yesterday he was lying dead in the middle of his living room, allegedly due to domestic violence. His second wife and her children have left town out of fear of retribution from the family. And then it hit me - while I was rolling my eyes at the shouting emanating from their house, this blind grandfather was being beaten by his own family members. I am ashamed that my first thought was for myself rather than the well-being of my neighbor. I see clearly now that my response was not Christ-like. All over Scripture, we are called to not tune out the sufferings of the poor and needy. When my children ask what to do about the sufferings of our neighbors, I call them to consider that Proverbs tells us that we are to look them in the eye and breathe in the sufferings they bear. When we turn our eyes away, put the headphones in, ignore the screams we hear, and close our ears to the cry of the poor, we will ourselves “call out and not be answered” (Prov 21:13). For, “Whoever gives to the poor will not want, but he who hides his eyes will get many a curse” (Prov. 28:27). I know what you are thinking: "You must be great at parties." But, consider the biblical characterization of Christ as a “man of sorrows.” Would I be flattered or insulted to be known as a “woman of sorrows”? Should I rather be someone who is carefree, loves to laugh, and is fun to have around? My home culture calls me to pursue “my best life now” but Jesus says, "Blessed are you who weep now, for you shall laugh” (Luke 6:21). I am persuaded that a life of weeping and constant prayer is the only appropriate response to the sin and suffering that surround us. The lightheartedness knowing that “everything’s going to be okay” is not for this life now, but instead for the next. Someone may wonder if it is even healthy for someone to strive to bear the burdens of the blind, orphan, and abused as a way of life. In the face of this concern is the trusted verse, “I can do all things through Christ who strengthens me” (Phil 4:13). I am confident that Jesus loves to answer the prayers of his children as we ask him to strengthen us as we seek to strengthen others. With all of that said, I do long for reprieve. I long for a place where the sounds of peace fill the air. I seek a better country where an unimaginable joy takes hold of everyone, and we can laugh, really laugh. And I know that this is not just a fantasy. This place exists and I will one day live in the presence of my God. And so today I can choose to open my eyes, to listen to the wailing, to grow not in numbness, but in compassion. Because I know that for every wound inflicted on this Fallen Earth, I will one day feel the healing touch of my Savior. And by His grace, I will hear those same voices, no longer wailing, but worshiping with me. Until that day, Lord, keep me weeping.